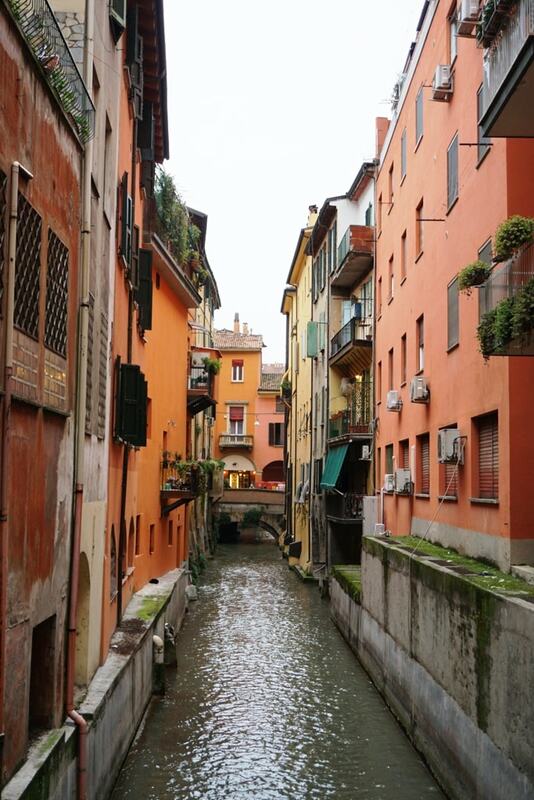 I recently spent four days in Bologna, Italy. 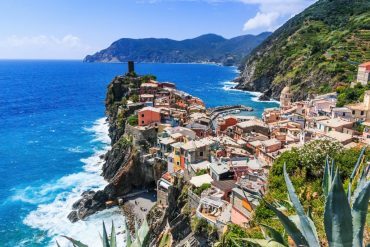 This fascinating Italian city is home to an extensive array of things to do. Bologna is the capital of the Emilia-Romagna region of Italy, and is located directly north of Florence. It’s famous Piazza Maggiore is the heart of the ancient Etruscan city, whose history dates back nearly 2,000 years. 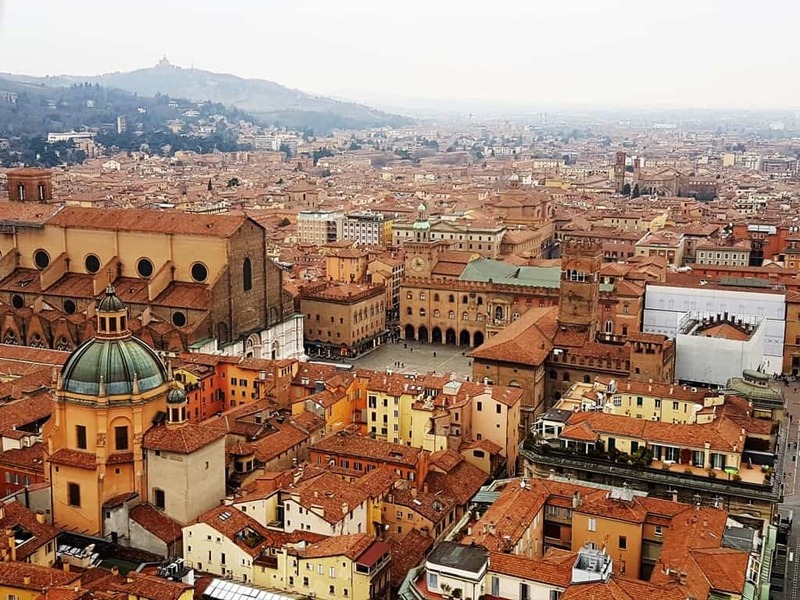 During the Middle Ages, Bologna was one of Europe’s largest cities and is home to the world’s oldest university. 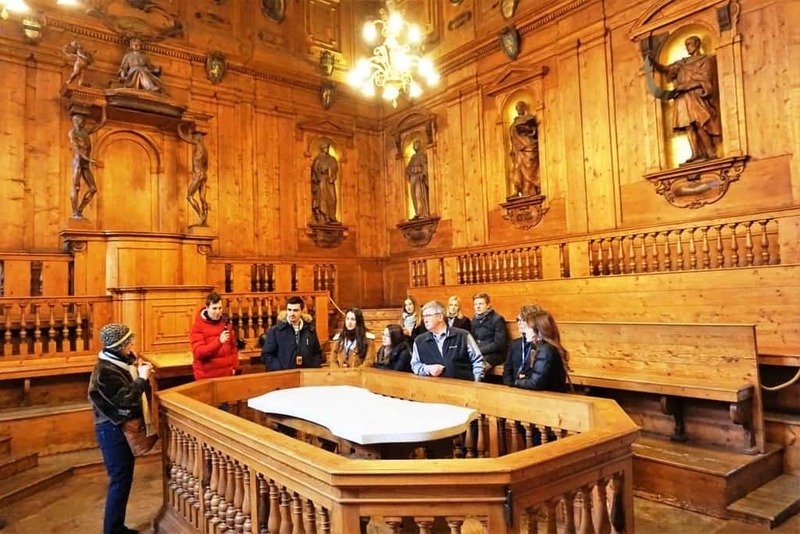 The University of Bologna was founded in 1088 AD and still matriculates students today. Piazza Maggiore and its surrounding ancient city is incredibly well-preserved, thanks to careful restoration and conservation work. 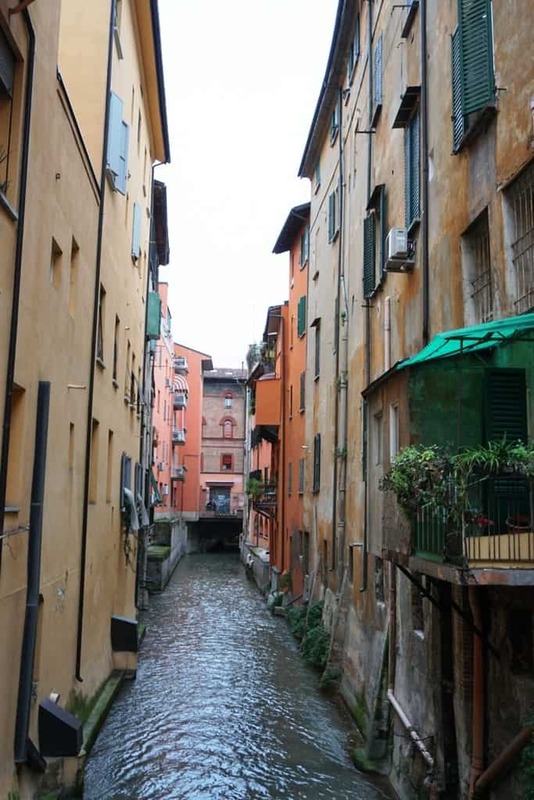 There’s so much to see and do in Bologna, Italy; here’s some of what I experienced during my visit. 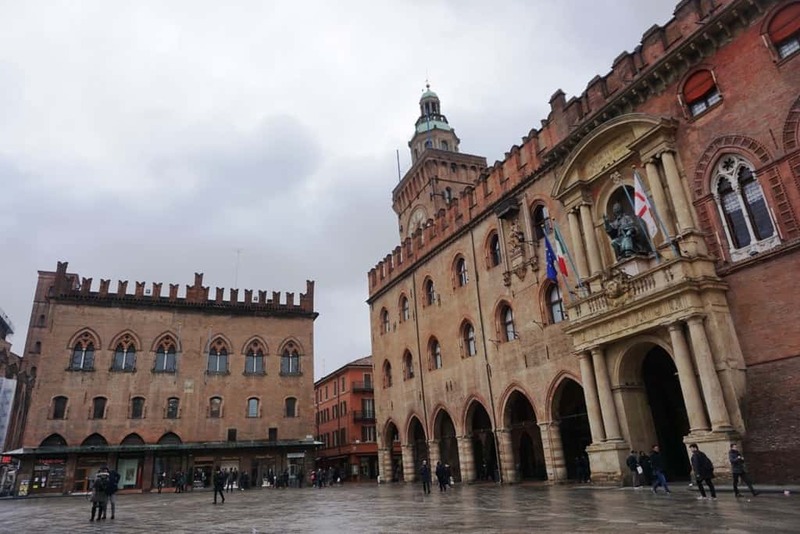 Piazza Maggiore is home to some of Bologna’s most important medieval-era buildings. Many of the former administrative and religious buildings surround this huge square, including the Basilica di San Petronio and the former city hall and notaries guild. For centuries, Piazza Maggiore has been the cultural and administrative heart of the city; it attracted people from all over and was where the government carried out their many functions. The Basilica di San Petronio lies at the southeast edge of the central Piazza Maggiore and dominates the square. 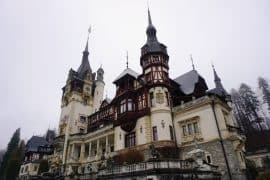 It’s unfinished exterior is the source of fascination and its history reveals a long and varied construction story. 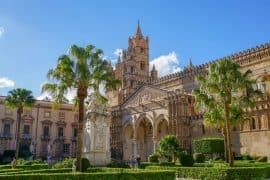 According to its history, the first stone was laid in the late 1300s, but the cathedral was not finished until the late 1400s. However, that wasn’t the end of it, either. A revised plan appeared in the middle of the 16th century proposing a larger cathedral – even larger than the then-current version of St. Peter’s in Rome. The Pope apparently vetoed the plan. Several names were put forth to finish the stone exterior, but none ever came to fruition. 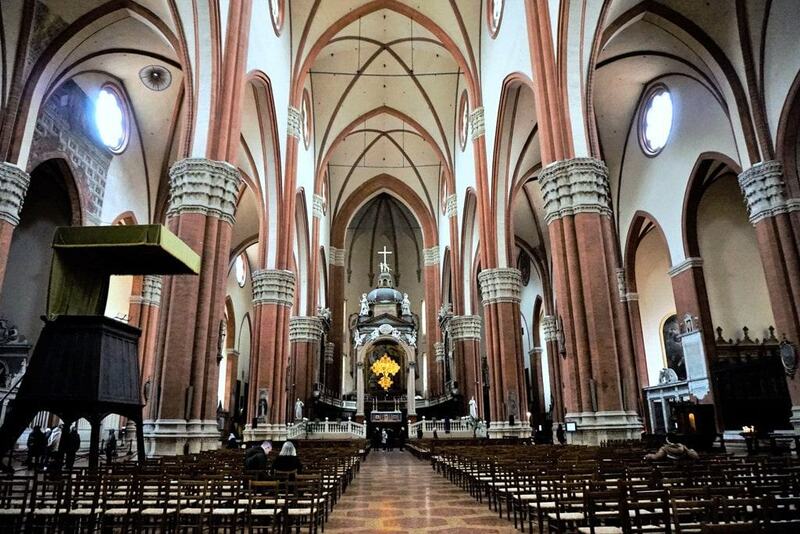 The church was finally consecrated in 1954 and only recently received the relics of Petronio, the patron saint of Bologna. Be sure to seek out the meridian line that was, at one time, the largest astronomical instrument in the world. Neptune’s fountain, which lies adjacent to Piazza Maggiore in Piazza del Nettuno. 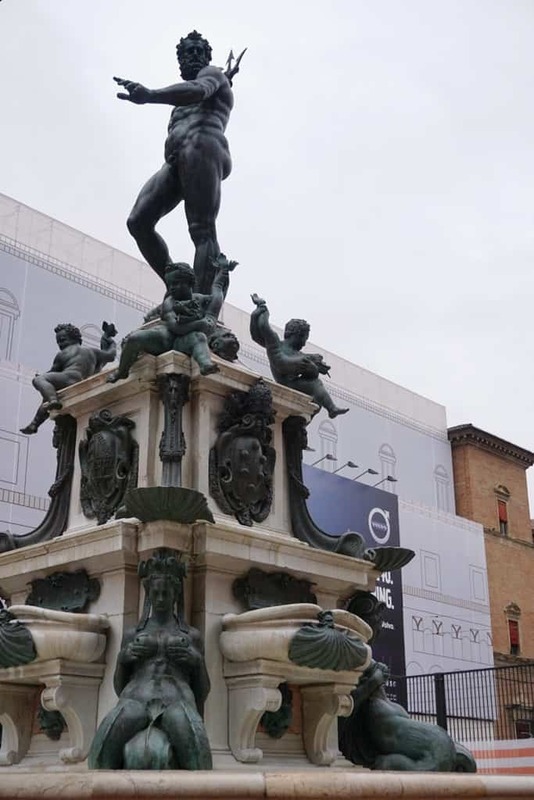 The statue, which stands 4 metres tall, was constructed as a symbol of the Pope and Catholic Church’s power over the people of Bologna. Today it is a popular meeting place for Bolognese people. And, if you’re a superstitious student, legend says that if you walk counterclockwise around the fountain twice, you’ll pass an important exam. Maybe, it works for other things too? 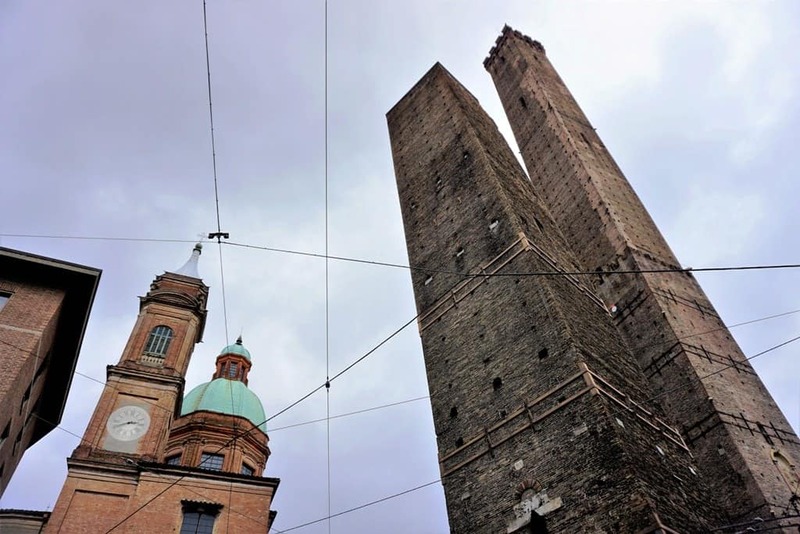 At one time, there may have been over 180 towers lining the skyline of Bologna; today fewer than 20 remain. It is unclear to historians why so many towers were built; they may have been defense or to signify wealth. The two most famous towers are the Asinelli Tower (Torre degli Asinelli) and the Garisenda Tower (Torre Garisenda), which lie at the intersection of the two main streets of the old city. 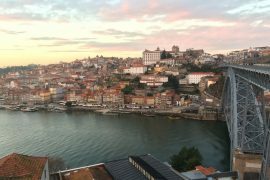 One of the current towers is a hotel, the Torre Prendiparte, in which you can get a fantastic view of the city once the stars are out. 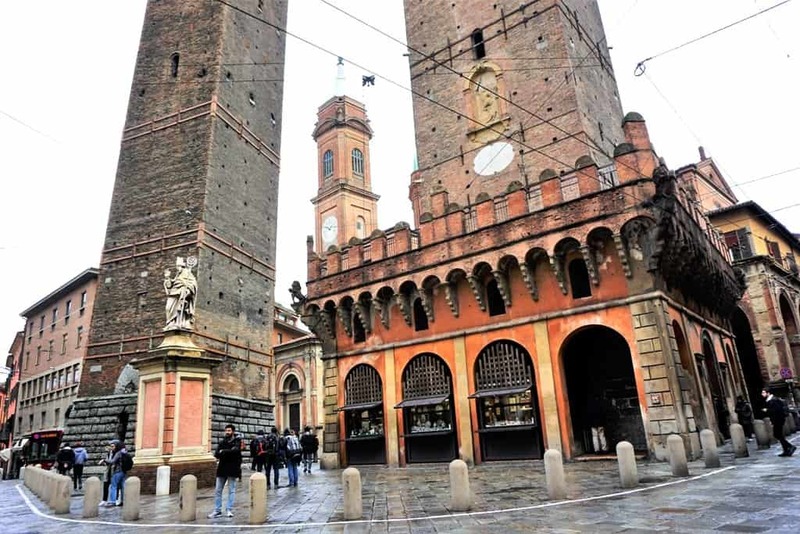 Two of Bologna’s towers are more famous than the others, and the Asinelli Tower is one of them. 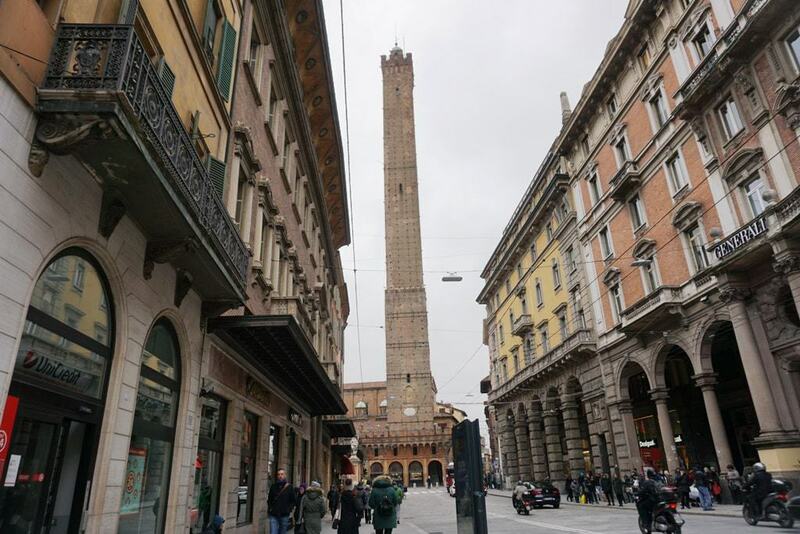 It is Bologna’s largest tower, at 97.2 metres high, and it actually leans more than the Leaning Tower of Pisa! There are 498 steps in the Asinelli Tower, and in order to climb it you will need to pre-purchase a ticket and make a reservation. 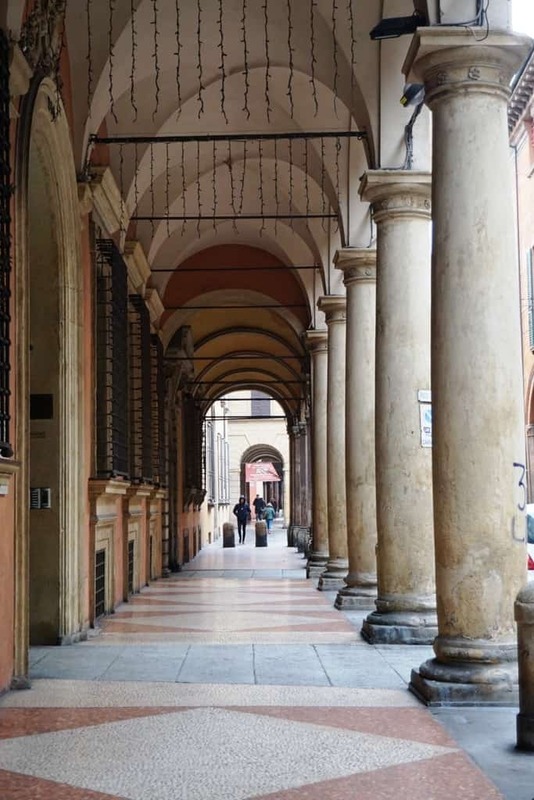 Bologna, like other medieval cities, has nearly 40 kilometres of porticoes, which were used to increase the public space in the city while keeping the private space extending above it. 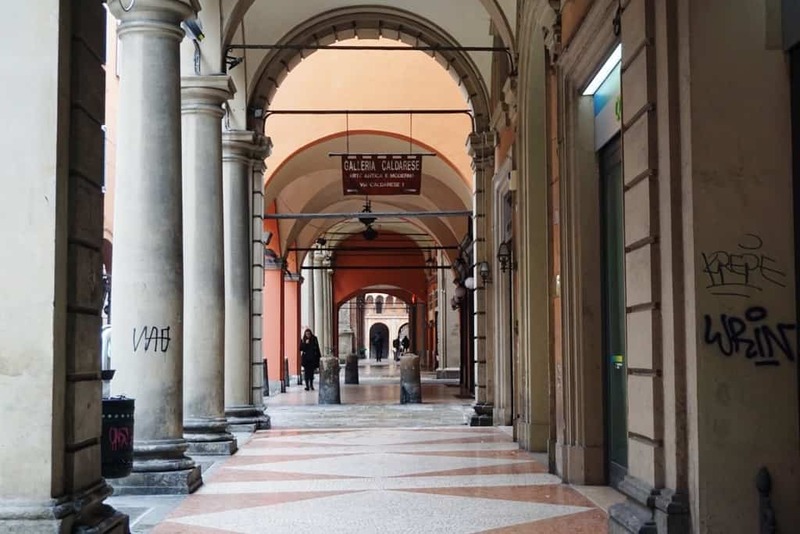 The UNESCO World Heritage-designated porticoes make it easy to stroll through the city in any kind of weather and one of Bologna’s most distinctive features. 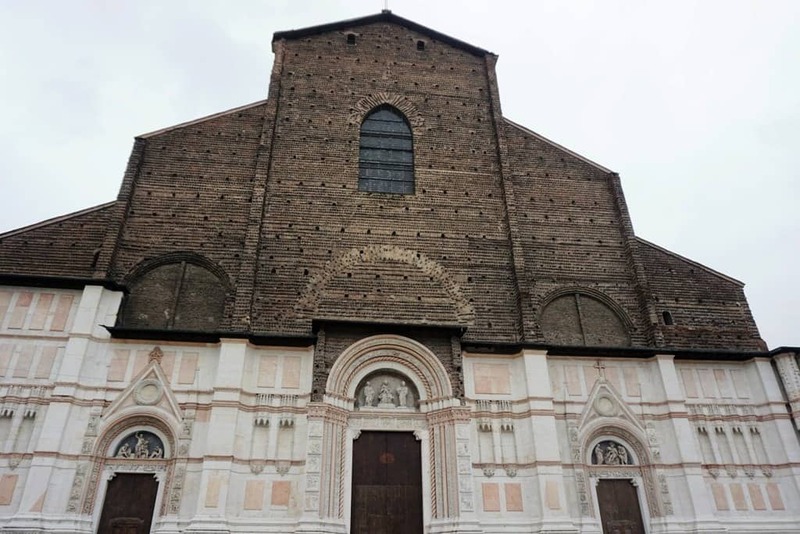 The Archiginnasio is one of Bologna’s most important buildings. 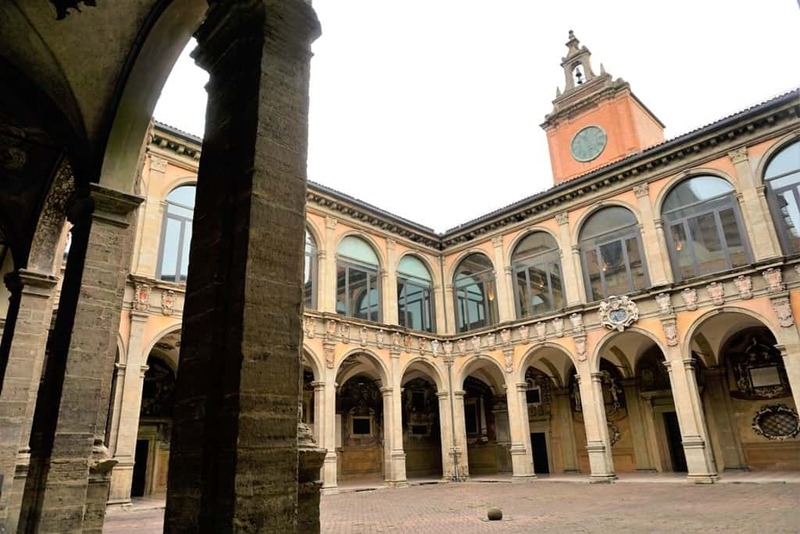 Built originally as the main building of the University of Bologna, it now houses the city’s municipal library and anatomical theatre. 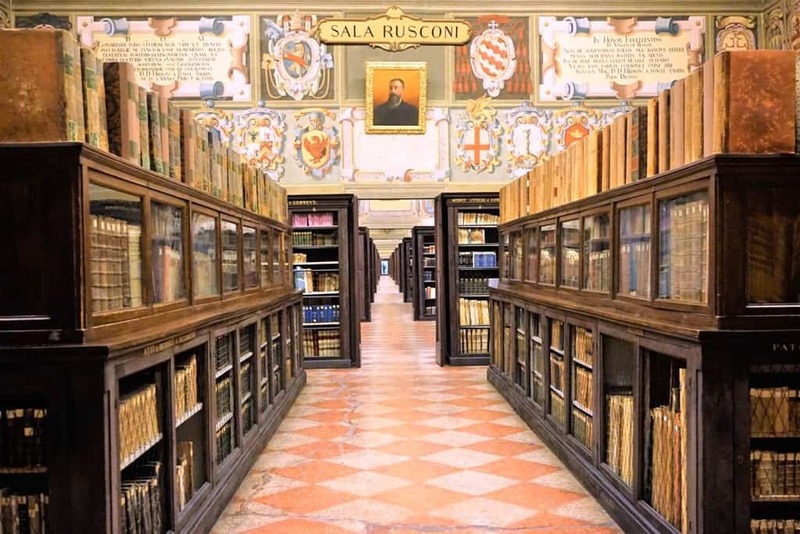 The Archiginnasio Municipal Library is the largest library in Emilia-Romagna and has over one million pamphlets, letters, manuscripts, and more in their collection. 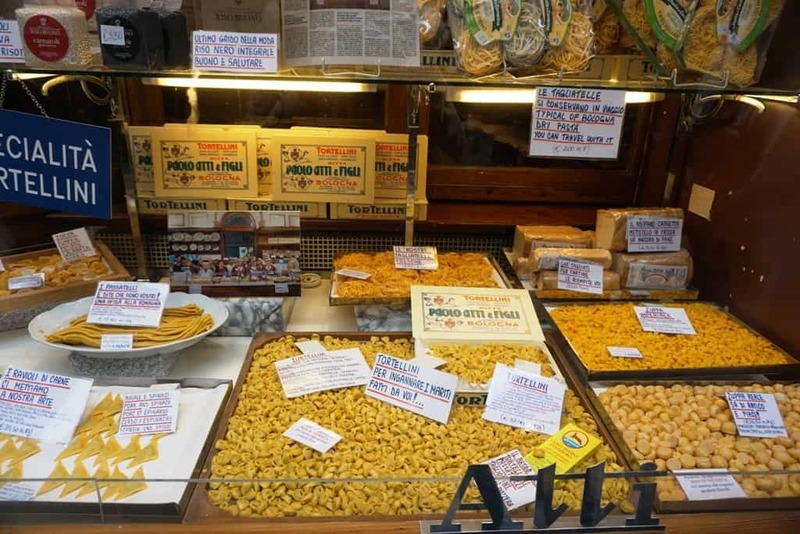 If you ask a local Bolognese, they’re likely to tell you that Bologna is nothing like Venice or Livorno – two Italian cities famous for their canals. 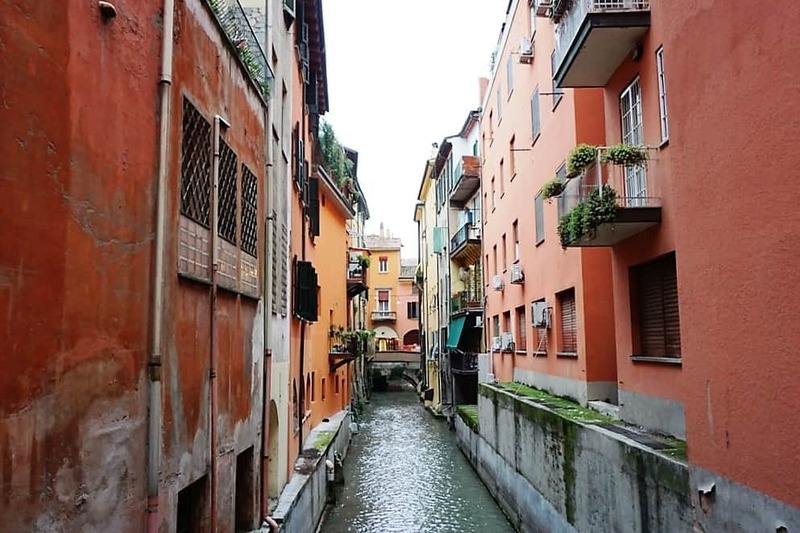 However, Bologna has over 60km of canals running beneath the streets and behind residences. They are visible in just a few places; at the Via Piella is a iron gate through which you can see the canal. 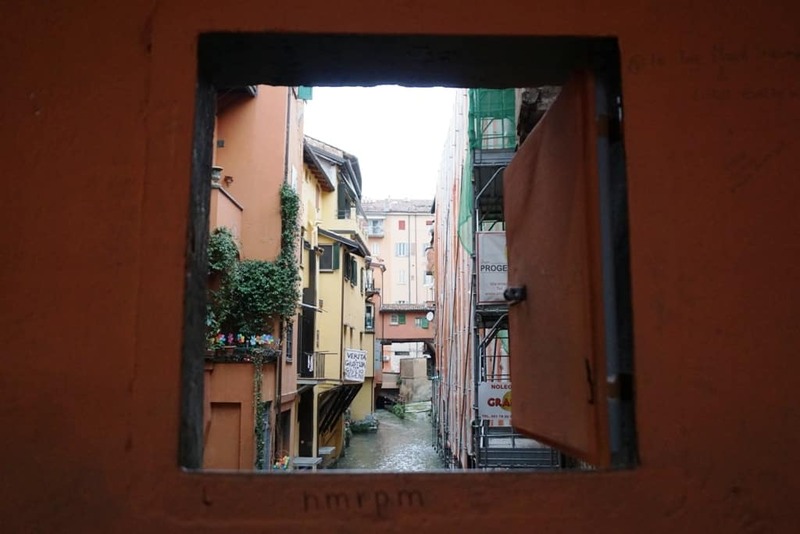 Across the street, under the portico, there’s a small window which you need to unlatch in order to glimpse one of the hidden canals of Bologna. 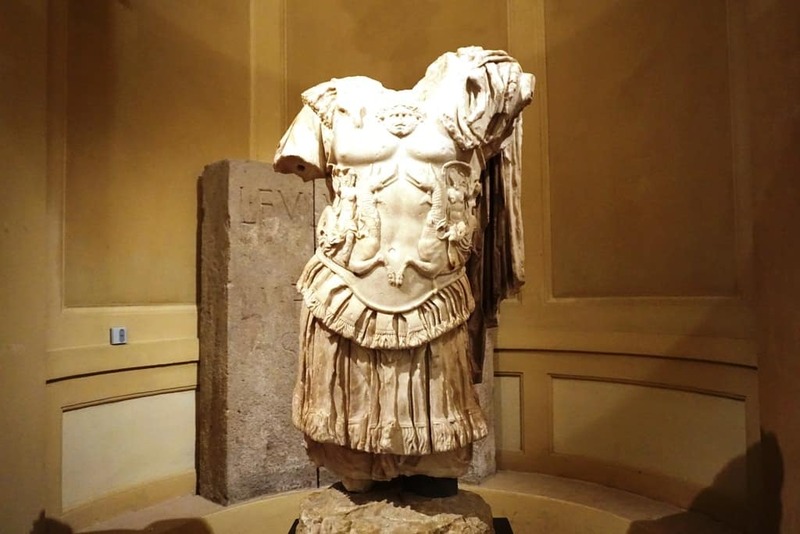 There are some excellent museums in Bologna! 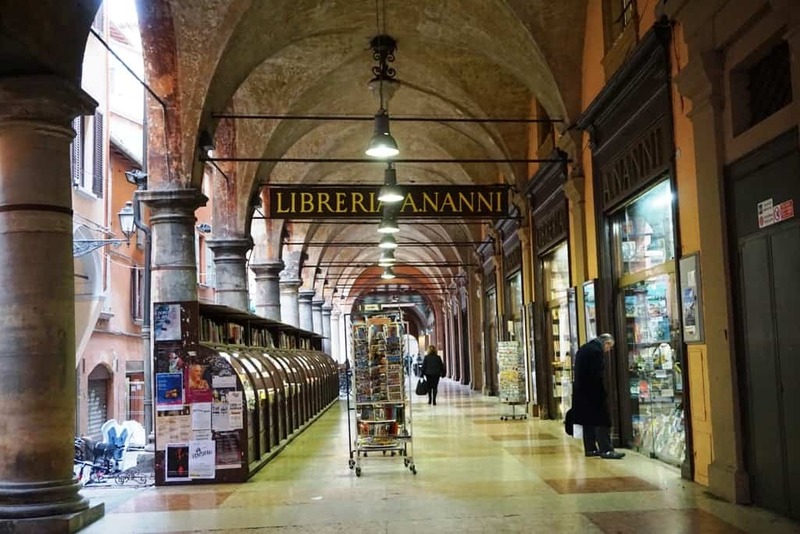 Here are some that should be on your list to visit when you are looking for things to do in Bologna. Many of these are on the Bologna Welcome Card, making them free to visit for cardholders. 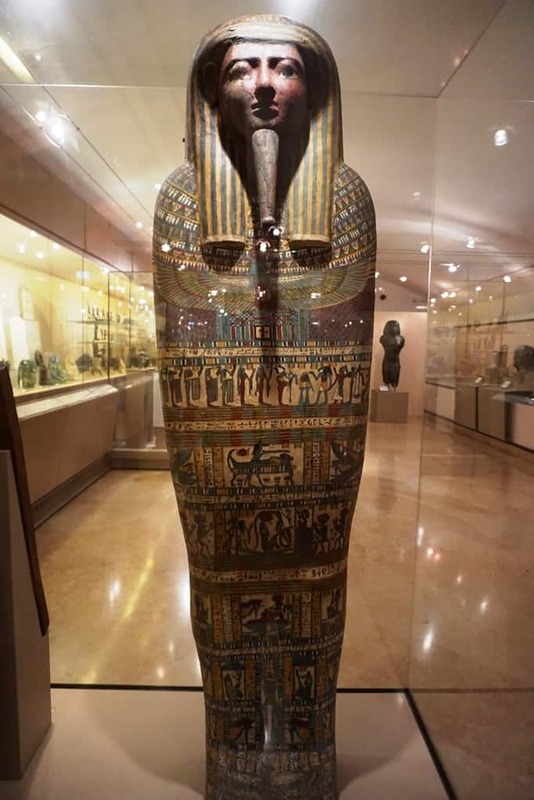 The Museo Civico Archeologico came about as the result of several universities collections, which merged in 1881. 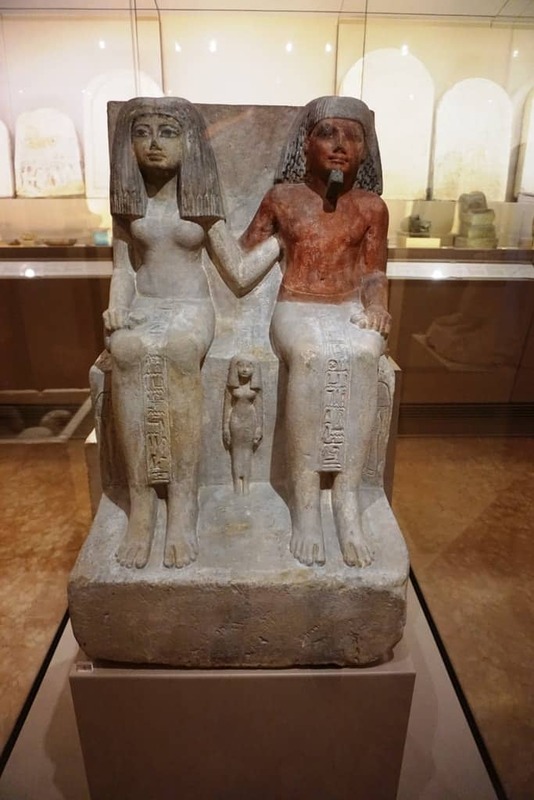 It is home to one of the most comprehensive Egyptian collections in Europe, a rich Etruscan collection, and extensive Greek and Roman works. 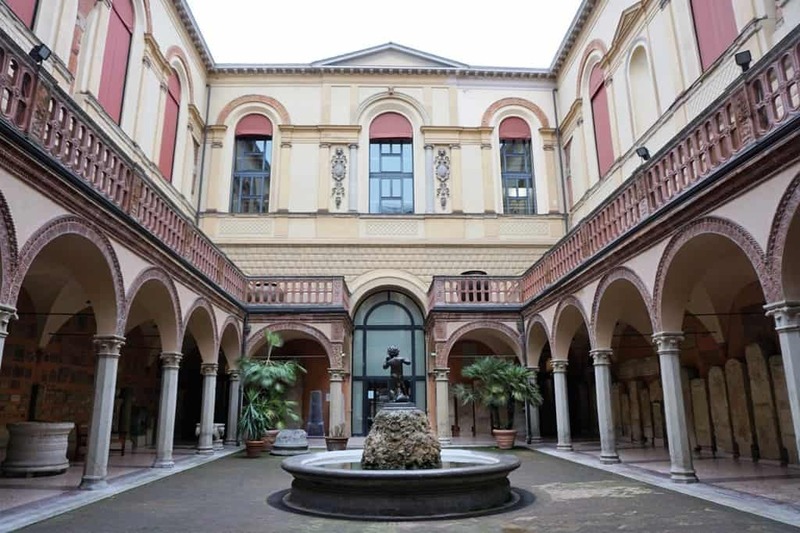 The Palazzo Pepoli Museo is dedicated to the transformation of Bologna over the centuries, and is the one of the only Italian museums to embrace new media and the interactive element of modern museums. Don’t miss the new 3D movie theatre, which is the only one of its kind in an Italian museum! 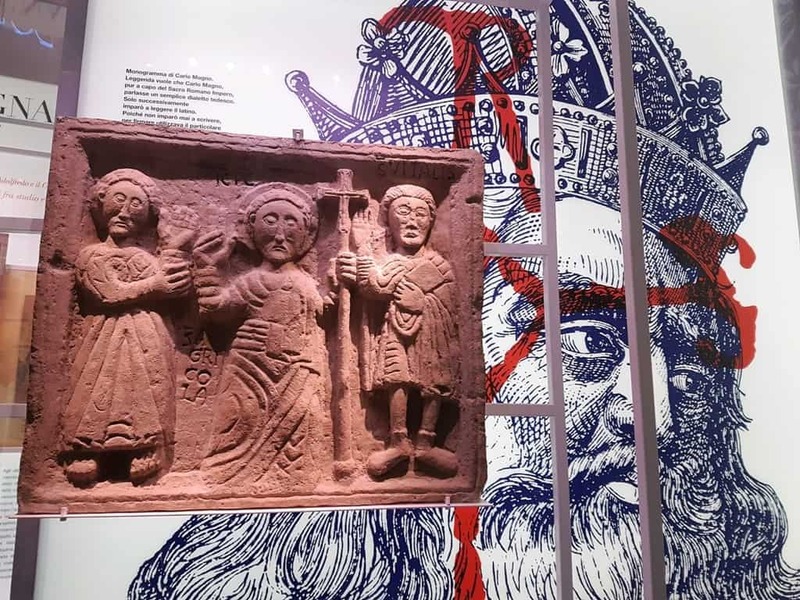 It’s fitting that the Medieval Museum is housed in a 15th century palazzo, as the museum’s major artifacts date back to the Middle Ages and the Renaissance. 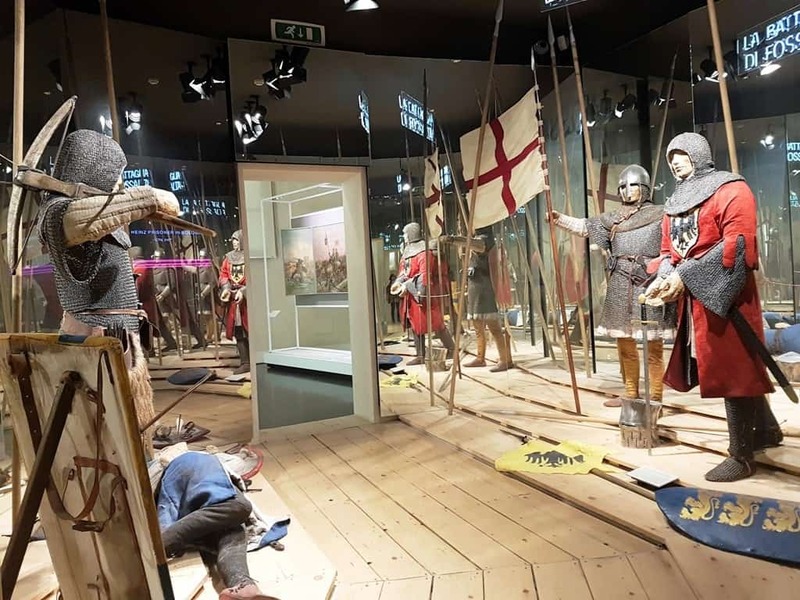 Of particular interest is the jousting collection and the 13th century manuscripts. 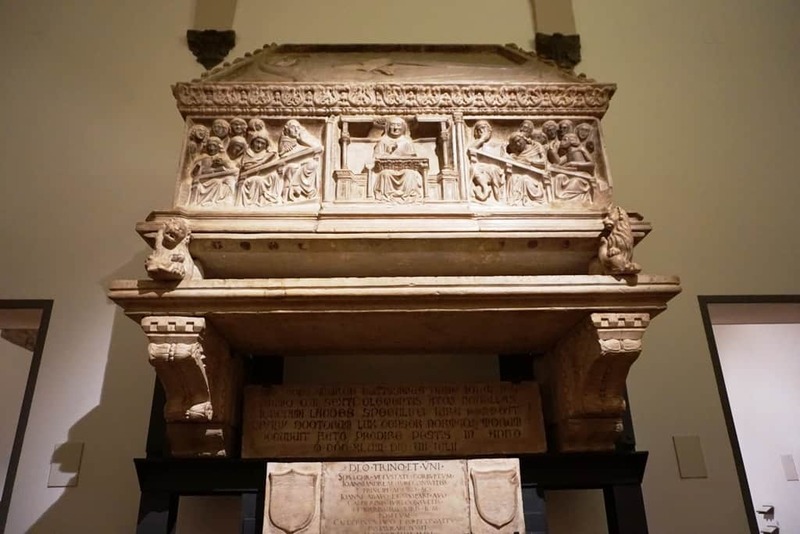 There are, in addition, funeral sculptures for teachers from the esteemed University of Bologna. 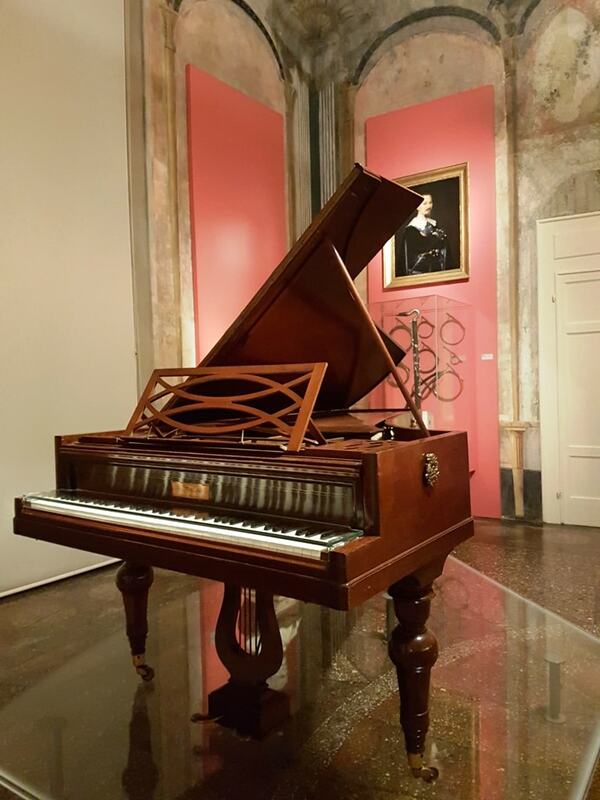 This music museum and library not only showcases the history of classical music in Bologna, but also highlights several exquisite painted rooms. 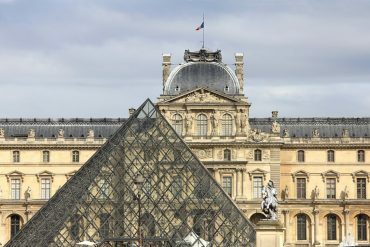 Among the collection include opera booklets, original scores, letters, manuscripts, and musical texts dating back to the 15th century. 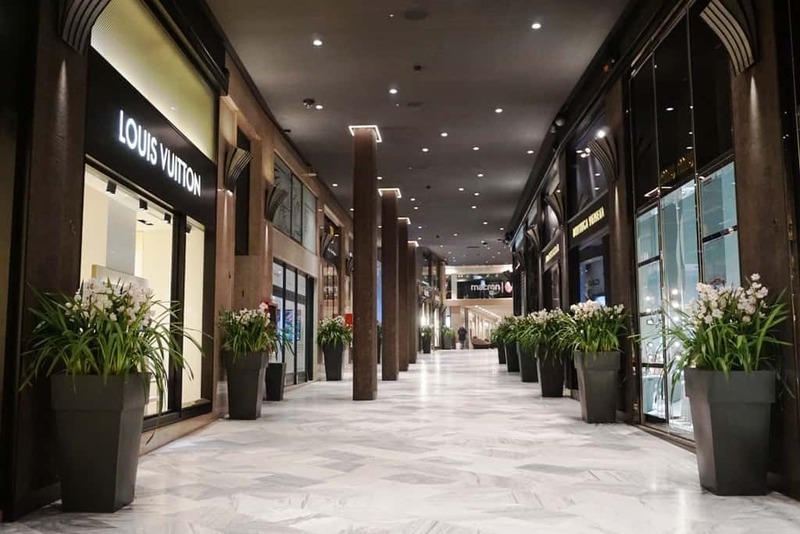 Galleria Cavour is Bologna’s first commercial gallery, and it houses more than 30 luxury boutiques from fashion and jewelry to cars and design. However, as its history reveals, it was designed to help the city recover following the war. A combination of antique buildings, the entire galleria is indoors and hosts various events through the year. The Bleu Hammam takes guests back to the rituals of the Turkish/Arab baths. All visitors start in the tepidarium, which is a warm room, followed by the caldarium, which is a hot and humid steam room. 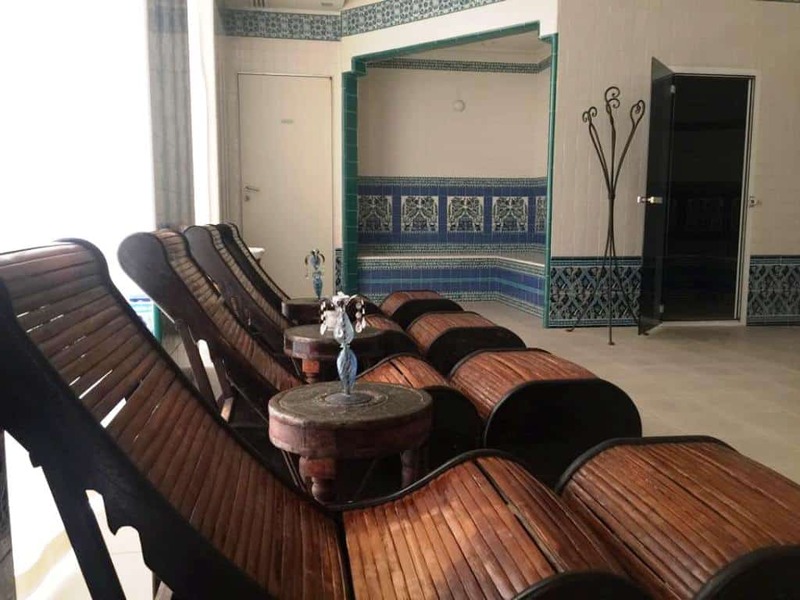 These rooms are followed by a sensory treatment, which consists of alternating steam baths and sensory showers, before indulging in the traditional Moroccan exfoliating treatment. The final stage is a cool bath with powerful massage jets. There are additional options, like massages, facials, and hair treatments, all of which take place following the exfoliating scrub. 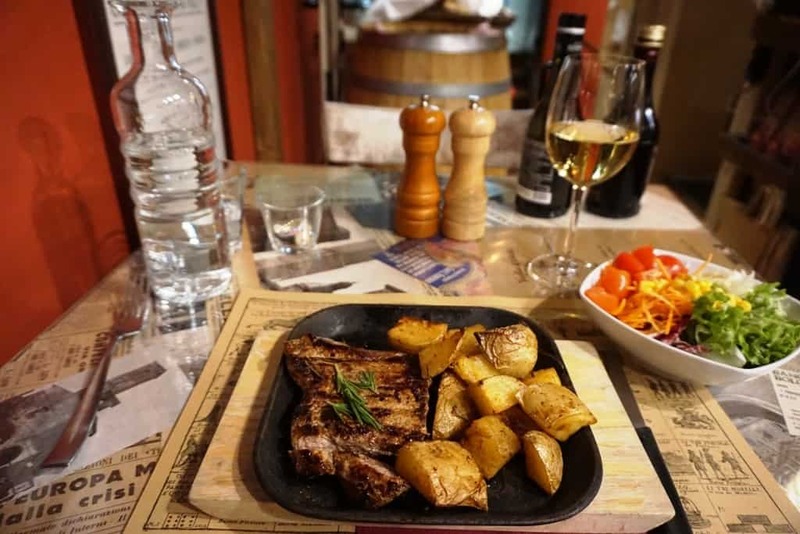 Italian food is simply incredible. Full of flavour and packed with fresh produce, herbs, and local meats, I haven’t met an Italian dish I didn’t like. 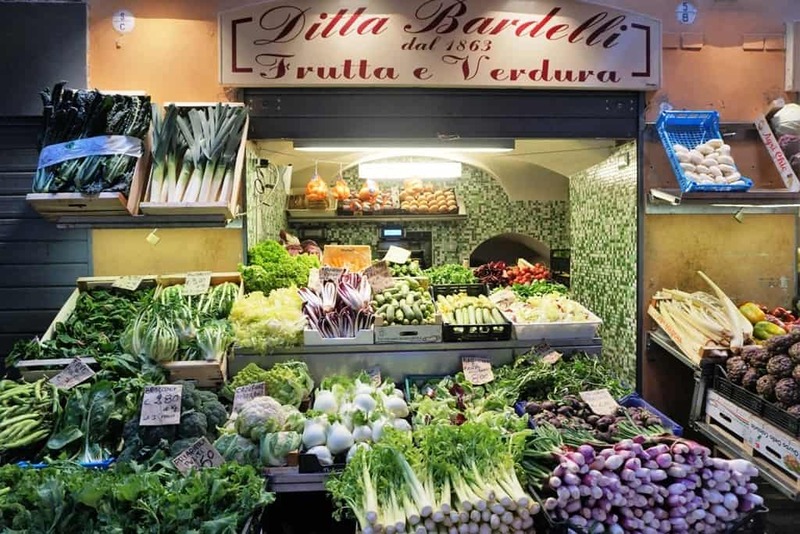 Bologna has some lovely little markets and a slew of excellent restaurants you need to visit. 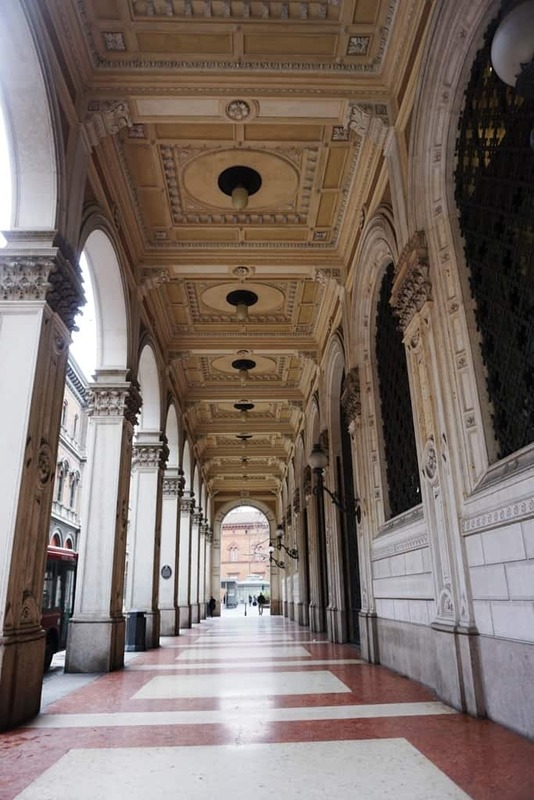 Il Quadrilatero is Bologna’s historical centre, bounded by four ancient streets. The Old Market, which lies inside, has retained its history over the centuries. 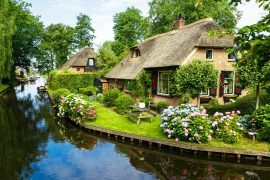 During the Middle Ages, it was where the main craft guilds had their headquarters, from butchers and furriers to goldsmiths and fishermen. 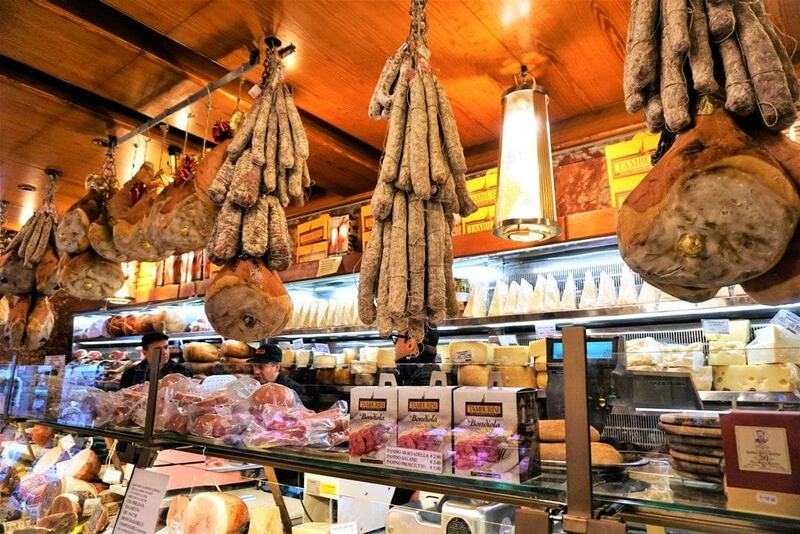 Today, it is home to many of the city’s artisanal delicatessens, butchers, bakeries, and traditional cuisine. 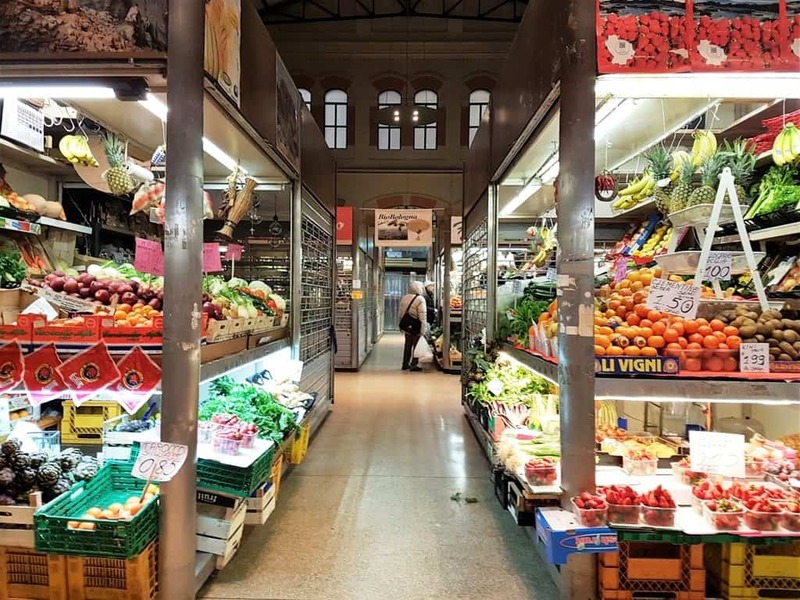 Mercato delle Erbe is Bologna’s largest covered market. 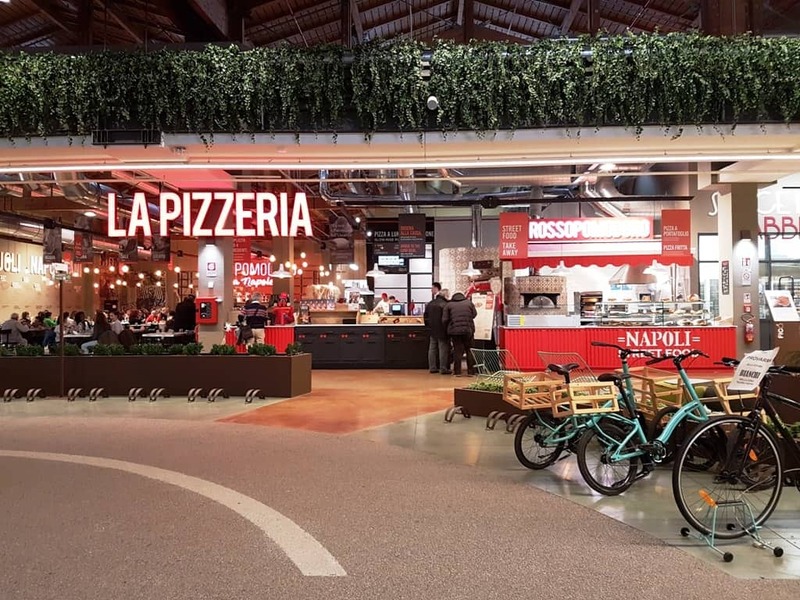 Today, it is not just where locals go to buy their fresh produce, meats, and cheeses, but also houses a small food court where visitors can taste Bolognese cuisine. 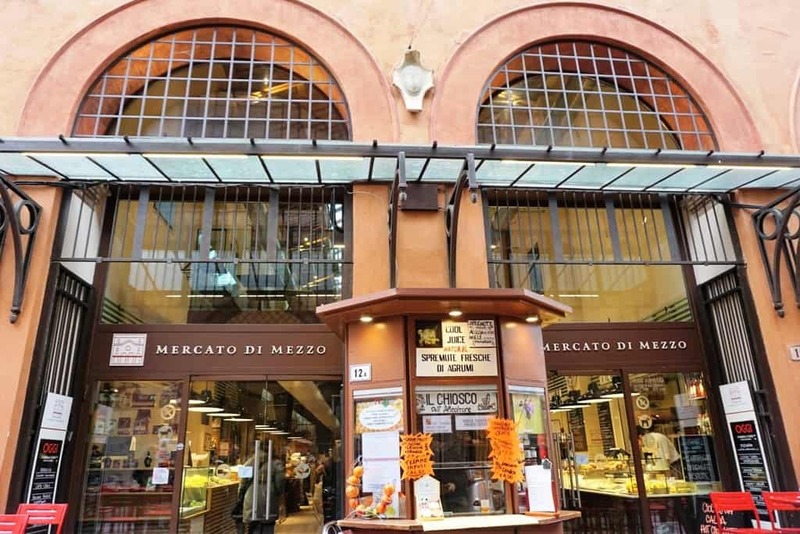 Mercato di Mezzo is Bologna’s oldest indoor market, having been created following the unification of Italy. 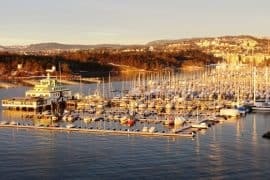 It was renovated in 2014 and now boasts three-storeys of dining establishments and vendors selling meats, cheeses, breads, pastries, wine, produce, and so much more! 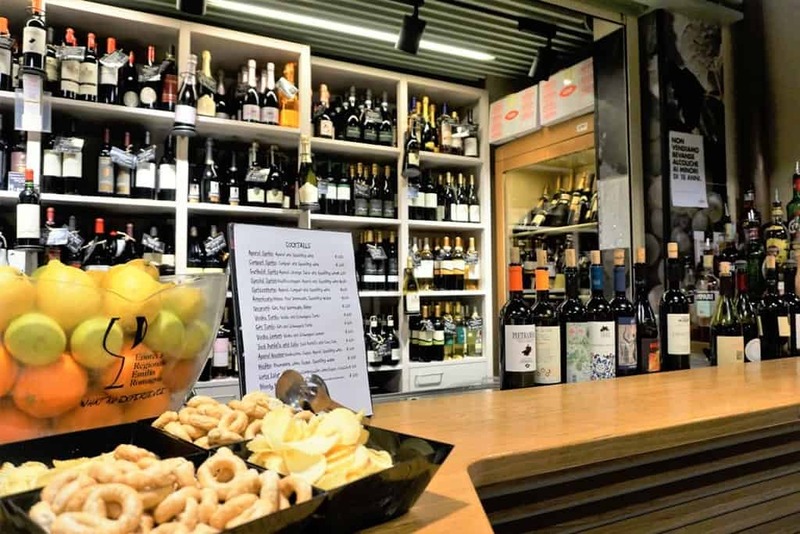 Tamburini is a store and wine bar, which sells a variety of cured meats, cheeses, wines, pastries, vinegars, oils, and more. They have a self-service deli as well, where patrons can enjoy a selection of pastas, antipasto platters, and more. 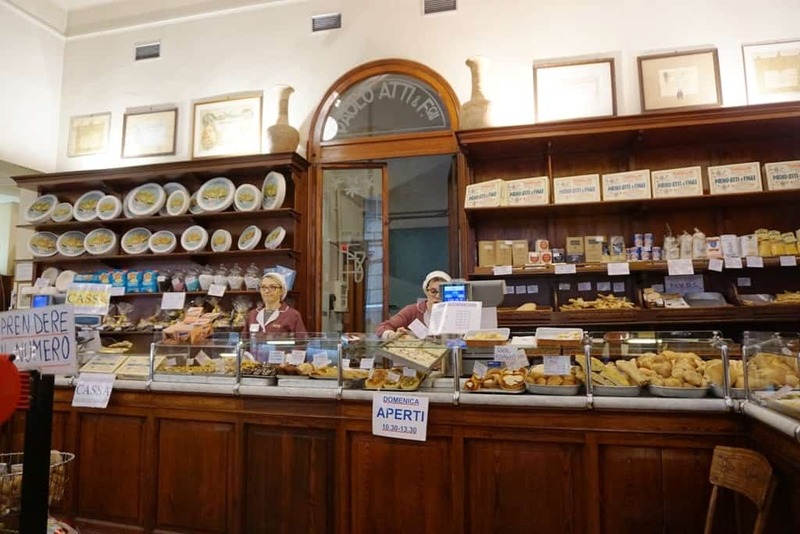 Paolo Atti & Figli is one of Bologna’s best loved bakeries. For over 100 years, it has provided visitors and locals with beloved breads, pastries, and more. There are two shops; the original is in Via Drapperie while the newer one, and a larger tasting shop, is located in Via Caprerie. 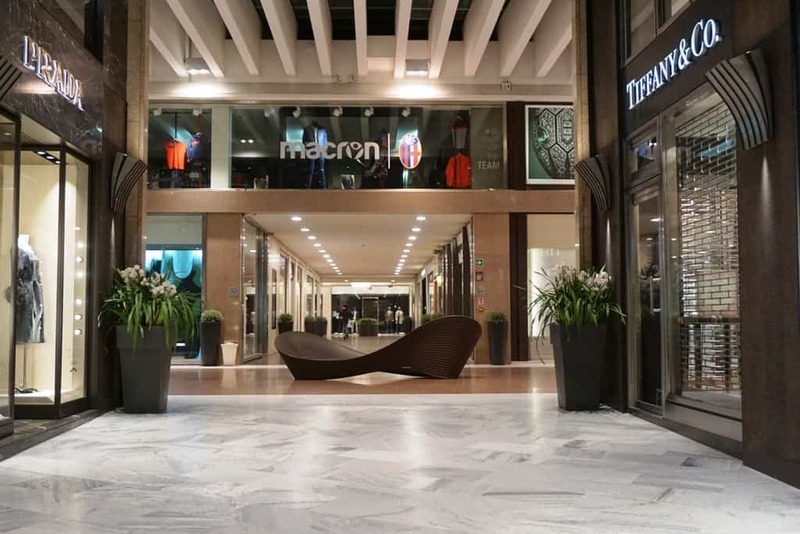 The Armani Restaurant is located in the Galleria Cavour, Bologna’s indoor High Street. 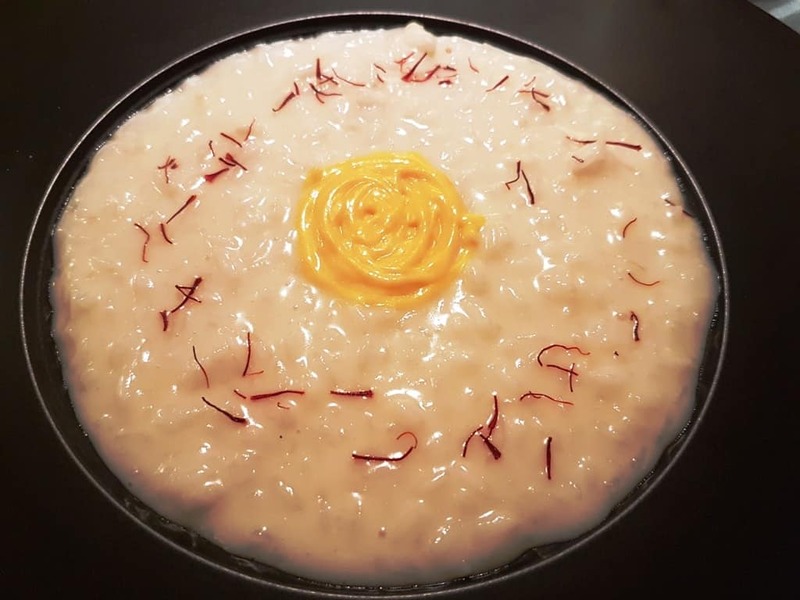 They serve a wonderful selection of upscale, modern Italian dishes. 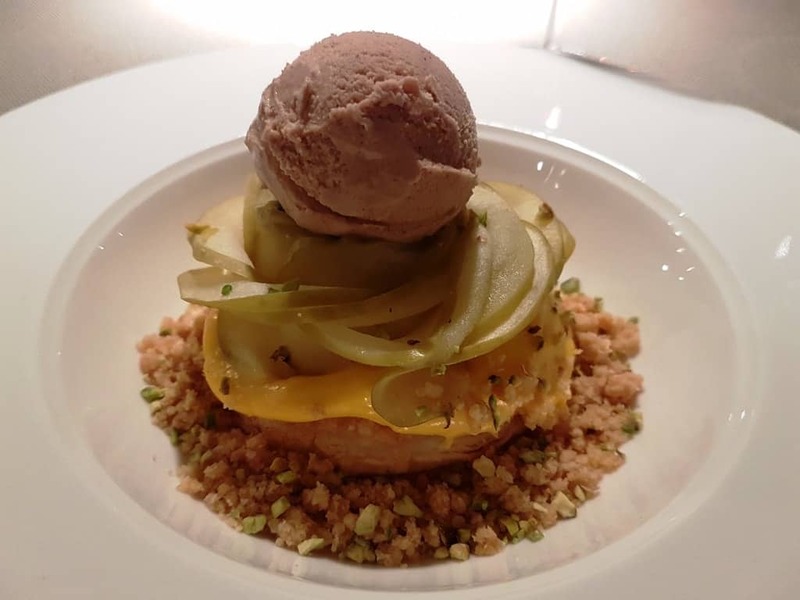 During my visit, I savoured the burrata cheese served with puntarelle salad anchovies and pepper chips, a creamy risotto with saffron threads and aged parmesan cheese, a succulent beef cheek with red radish, chicory and creamy cauliflower, and finally an apple puff pastry tart with homemade cinnamon ice cream. Of course, in the Italian style, I enjoyed a glass of fine Italian wine with my meal. 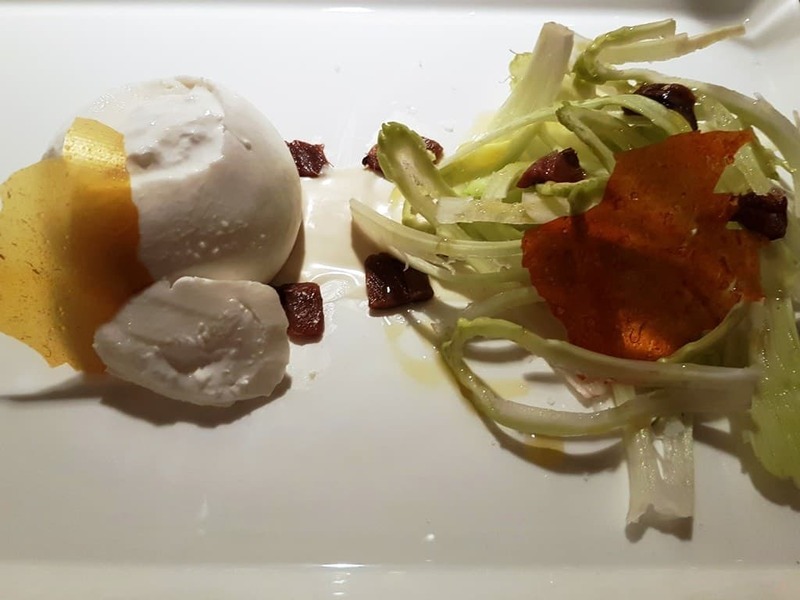 Al Cappello Rosso Osteria offers a wide selection of traditional Bolognese dishes alongside an array of Italian meats, cheese, wines, and more. 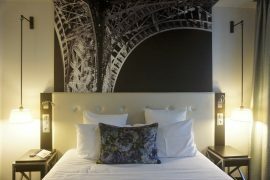 In addition to dining here, guests can also purchase packaged gifts, olive oils, wines, pasta, and more. For over 200 years, the Osteria has been a place for both locals and visitors to relax. 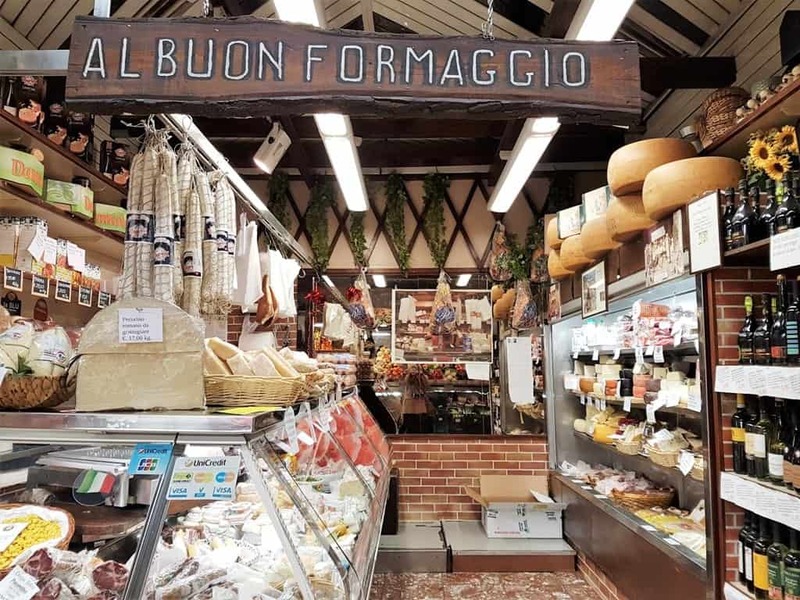 FICO is an agro-food park in Bologna where visitors can sample different foods, explore the history and production of Italian food, and take part in courses like cheese-making, pasta-making, balsamic vinegar tasting, and so much more. On my visit, I did a pasta making class, where I learned a few secrets about Italian cooking! 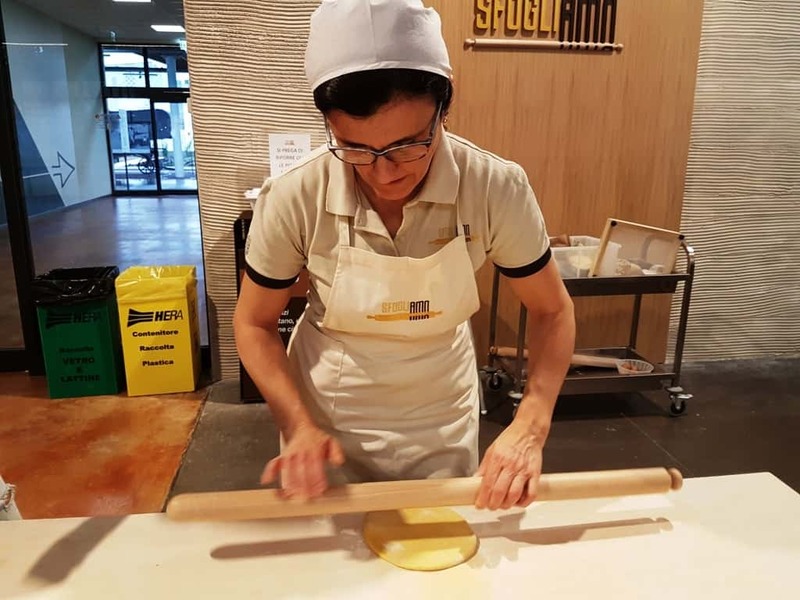 Read about my visit at FICO Eataly World. 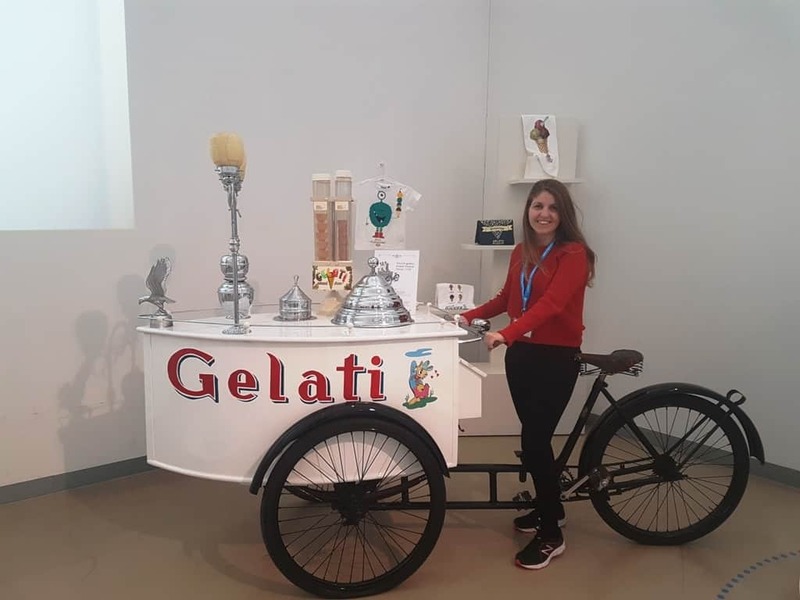 Another exciting thing to do in Bologna is to visit the Gelato Carpigiani museum and university to learn how to make gelato and sorbet. 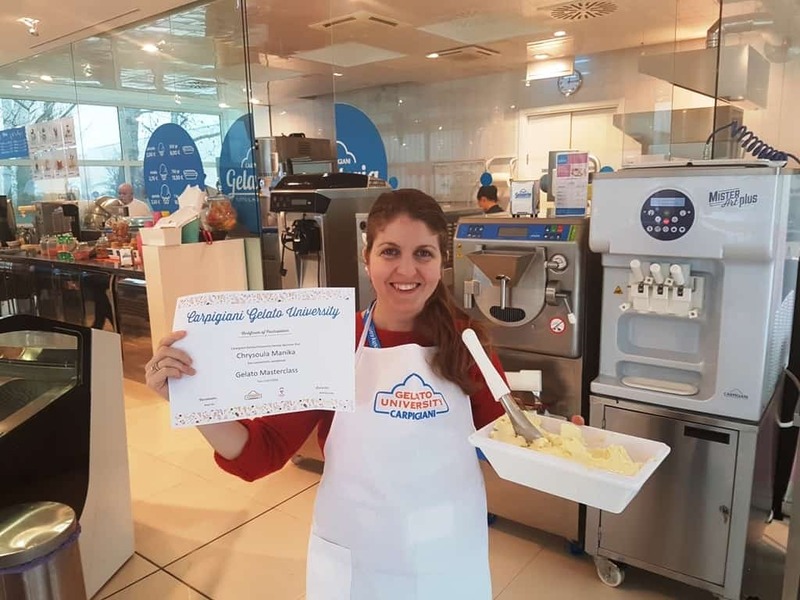 The classes start with a tour of the gelato history museum – the only one of its kind in the world – before heading into the kitchen for an in-depth discovery about the precision of gelato making. 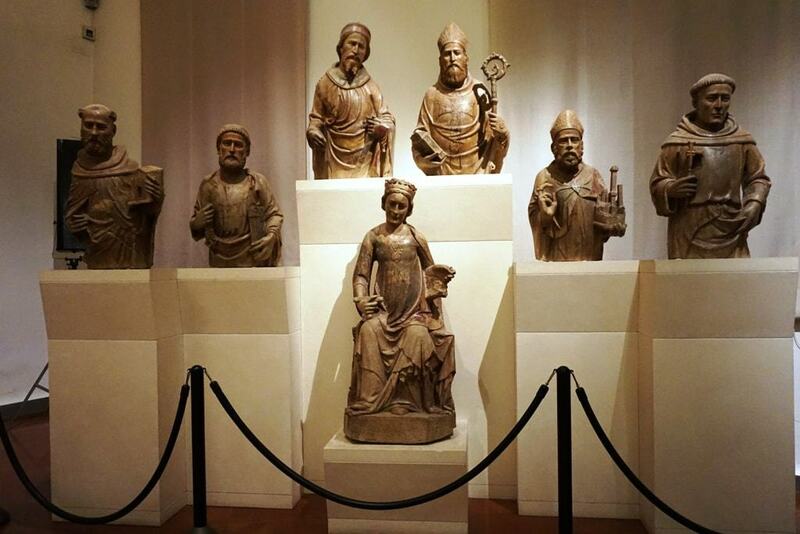 Read about my experience at the Gelato Carpigiani Museum & University. Just a few kilometres from the centre of Bologna, in the Emilia Romagna Valley, are two museums dedicated to the legendary Ducati and Lamborghini brands. A visit to both allows visitors to see how the Italian devotion to art and design inspires the style and experience of both Ducati and Lamborghini. It is clear from the museums that the attention to detail and the passion for speed continue to push both brands to further innovation. 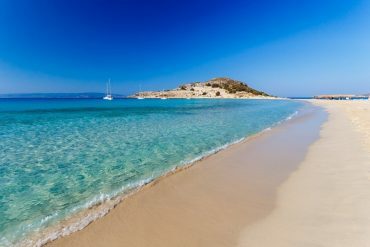 However, you can also visit just one or the other for a more in-depth look at them. All visits include a private chauffeur pick up from the city. 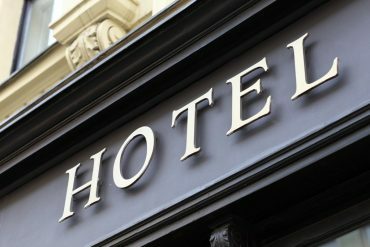 Bologna cardholders receive 10% off the listed ticket price. 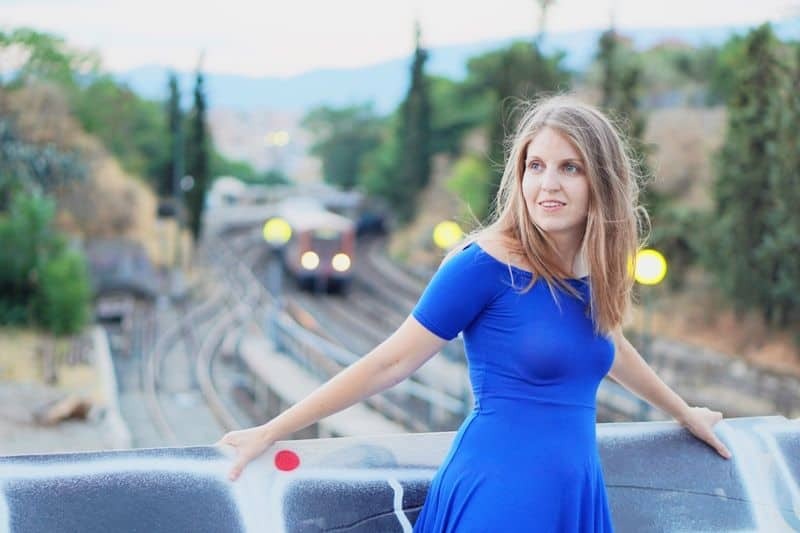 You might also be interested in: What to wear in Italy. 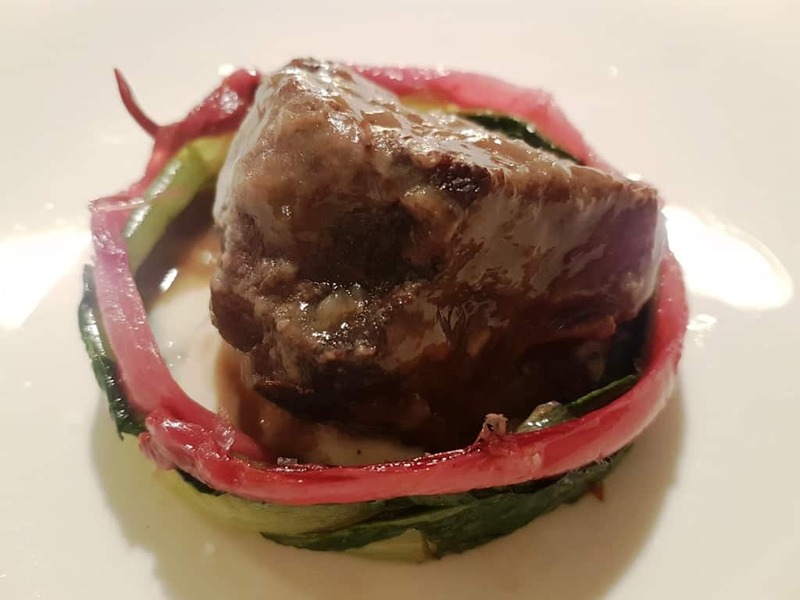 Al Cappello Rosso is located just steps from the historic Piazza Maggiore. 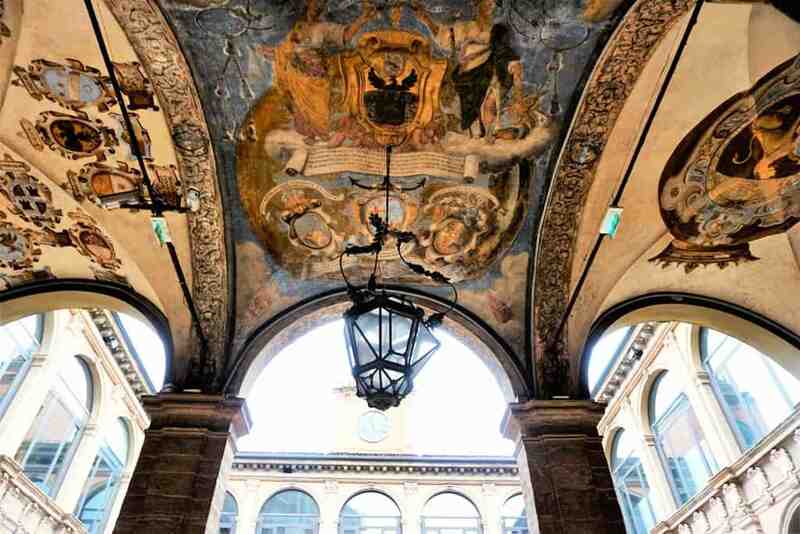 It is an ideal location for exploring the museums, monuments, and medieval streets of Bologna. There is also award-winning shopping and dining mere minutes from the front door. While walking is an excellent way to explore the winding streets of the city, Al Cappello Rosso offers free bikes for guests to use on their exploration of the city and its surroundings. 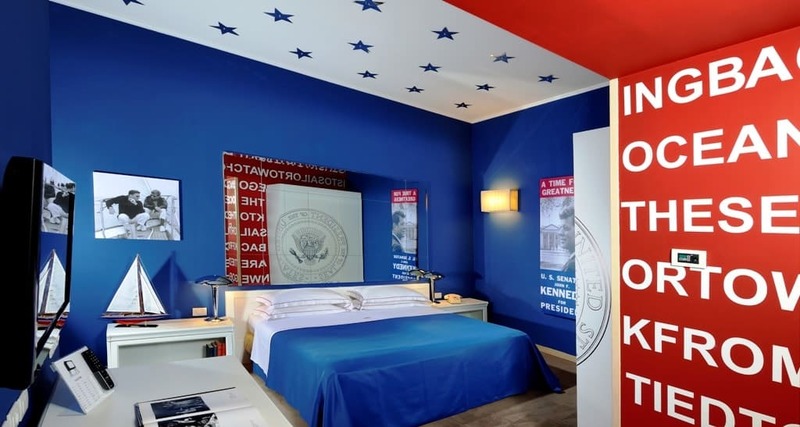 Read about my stay at the Al Cappello Rosso Hotel. 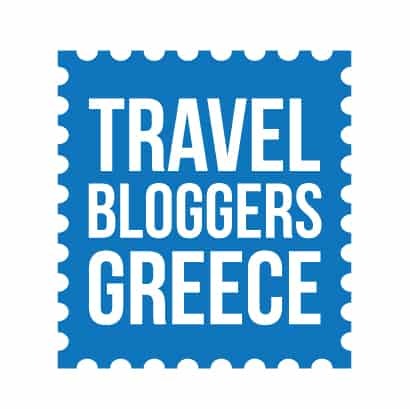 I was a guest of Bologna Welcome but as always opinions are my own.